They kinda look similar, don’t you think? 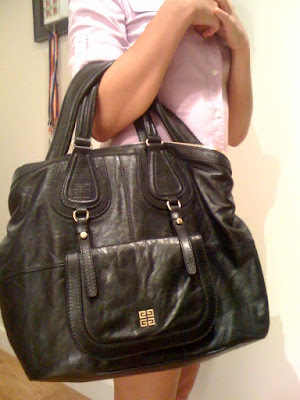 Tods vs Givenchy..
You’re right….and I couldn’t quite believe that that was a Tod’s bag. Hmm. Appears Tods is getting more edgy with this design. They are similar but the Tods is more structured. The Givenchy is very slouchy/smushy.